A friend asked me, “What does respect look like to you?” I found the question puzzling but important enough for me to articulate a response. So I have been mulling it over for days. I keep coming back to my first thought and what I told her in the moment. I have learned respect through treating others as I would like to be treated. It’s the basic golden rule. If I don’t want to have someone invade my privacy, boss me around, meddle in my affairs, be inconsiderate or unkind, then why would I do it to them? In the same way, if I want to have my home treated respectfully and not decimated by grimy feet, sticky fingers, clutter and disarray, then I need to teach my children (and grandchildren) how to take care of our “stuff” and the property of others. It isn’t a hard concept and seems like common sense yet it is often violated. I can easily tell you the face of disrespect. Disrespect for our environment shows up in the litter we see along the highway. Disrespect puts drunk drivers on the road oblivious to the fact they may harm others. Disrespect from our children manifests itself in back-talk and ignoring the family or school rules. Disrespect in a marriage eats away at a relationship in harsh words, poor manners, self-absorption, neglect and abuse. The list can get quite lengthy. Respect, on the other hand can be tidily summed up with, “Do unto others as you would have them do unto you.” That golden rule applies to how we treat people, animals, personal possessions, our community, our homes and the environment. Respect in a relationship often means being kind rather than being right. Putting others first. Serving others and as our son, Jared, sums it up….just being love. Showing love. Respect doesn’t just happen randomly. It is cultivated in the home. It is taught by intentional parenting and filtered down from the example shown by the authority figures in a child’s life. 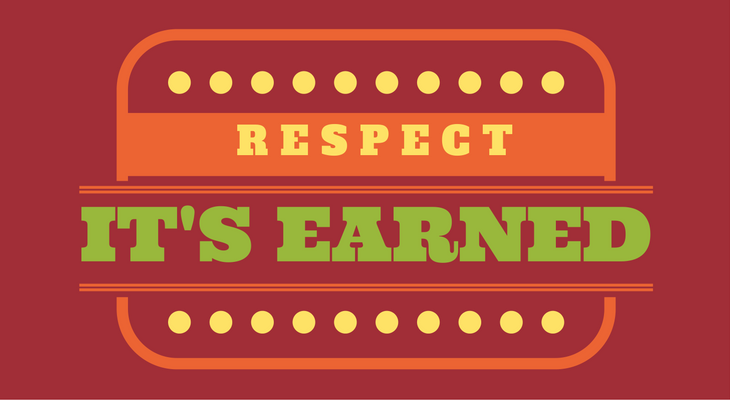 Simply demanding respect will not bring it to fruition. Respect is an intentional lifestyle rooted in love and discipline, setting boundaries and holding fast to good values. Respect is what keeps us from becoming judgmental and bigoted. Respect understands that each of us is unique and has value. Respect begins with me. If I don’t use it, I can’t expect it to return to me. What does respect look like to you? I’d love to hear your thoughts. Sometimes you have to teach a person respect when you lovingly provide that person with clear boundaries. Very true, Judy…whether it is a child or an adult! Thanks for the comment. By taking responsibility for your actions and words you will show others that you value and respect them. Yes, for sure, Betty. Taking responsibility is a huge piece to gaining respect. And, unfortunately, very difficult for many. Thanks so much for your comment.